Wednesdays are usually my no words day here at Mama’s Empty Nest. Usually I post a photograph I’ve taken that hopefully speaks for itself, slap a title on it that categorizes it, and add no other words. Voila! Wordless Wednesday. But today I’m deviating from the norm. It is, after all, the last day of the year. We say goodbye to 2014 at midnight and hello to brand new 2015 at 12:01. The graphic I designed above boasts a citation that is in my well-worn quote notebook. Supposedly, it came from one of the works of Greek playwright Euripedes. Many moons ago, I took a classical literature class in college where we read many of the Greek classics. I didn’t remember the quote at all or where it came from, so I wanted to do a bit of research to see if it even came from Euripedes’ pen. As near as I can glean from a quick research scan (and I do mean quick), the actual quote is “Waste not fresh tears over old griefs.” Some of the old Greek’s tragedies were lost or only fragments remain. Apparently, this line came from one of those. No matter the source, the line speaks well for today of all days – New Year’s Eve. Another year has passed which included some wondrous occurrences and some disappointing or devastating ones. Such is life. I spent a good part of this past year grieving over an old wound from 2013. Yes, I wasted fresh tears over it. Sometimes it haunted my dreams; often it consumed my joy during daytime hours. Some days it just fired my anger into a red hot flame. But you know what? No more. Was what was done to me right? By no means. It was unjust and no mercy or grace was shown. But I refuse to let that grievous event define me any more. I will not waste tears over old griefs any longer. I’ve learned to put that wrong and the people involved behind me. That doesn’t mean I haven’t forgiven them because I have, it just means I will no longer allow those circumstances to reign over my emotions and thoughts. As I move forward to a new year of opportunity, I will not waste one more minute over this old grief. It will stay in the past where it belongs. What about you? Is there something from the past that you need to let go with the ringing in of a new year? I pray you find the courage to do so and waste not your own tears over past griefs. Let’s greet the new year with joy instead of sorrow, with excitement instead of disappointment, with opportunity instead of regrets. Hope you and your hubby have a blessed New Year ! Know what you mean about the feelings of being betrayed by those you thought were on your side, but with time the wounds heal and forgiveness rises to the surface. God has blessed us with so much and we can be assured that He is on our side always. So true, Lana. God always is there to listen to our concerns and prayers and He never, ever betrays us. 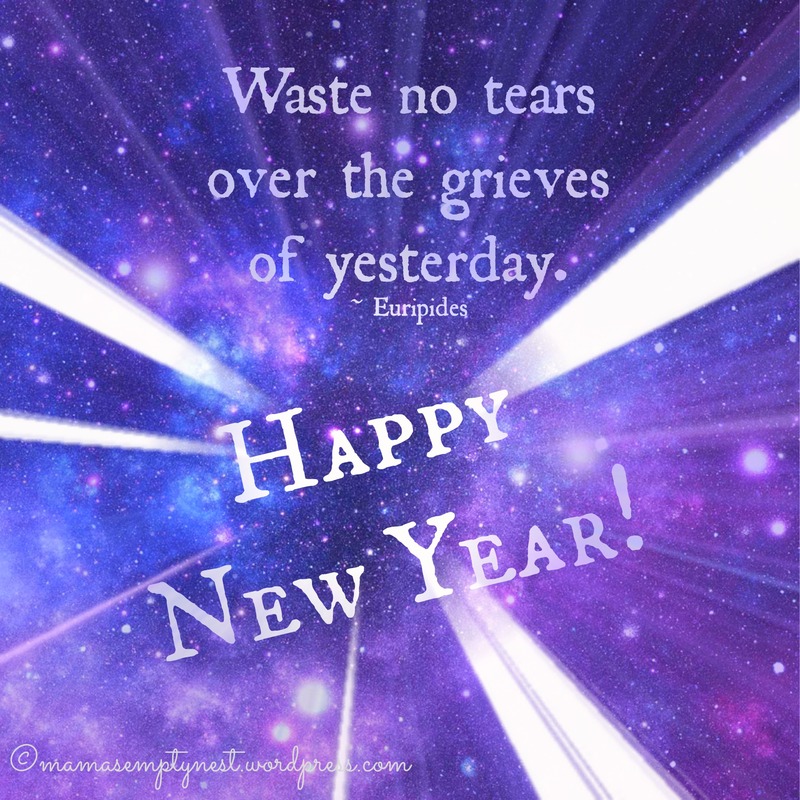 Wishing you all a wonderful 2015!